The high home prices in Vancouver have spilled over into other municipalities in British Columbia, CMHC reports. Cities within easy commuting distance of Vancouver have been most affected but the agency’s report suggests others further out could also see price rises as buyers make a trade-off between distance to Vancouver and the home they can afford. 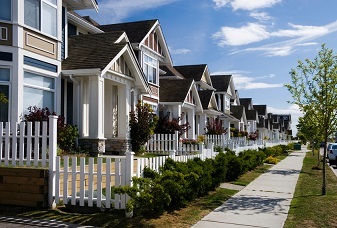 “Our estimates show that on average a 1.0 per cent increase in house prices in the City of Vancouver was immediately transmitted to places like Burnaby, Richmond, and the North Shore resulting in price increase of 0.45 per cent in Burnaby and Richmond and 0.73 per cent in the North Shore,” commented Braden Batch, CHMC’s senior market analyst. But the ripple effects of higher (or lower) house prices in Vancouver are not seen in the surrounding centres for some time. “Price changes in the City of Vancouver are linked to prices in other municipalities, both on the way up and on the way down. The spillover effects take years to fully work through other markets and have varying degrees of strength,” Batch explained.